← What is Small Business Saturday? This is Tarah, and this woman’s story right here just tugs at my heart! 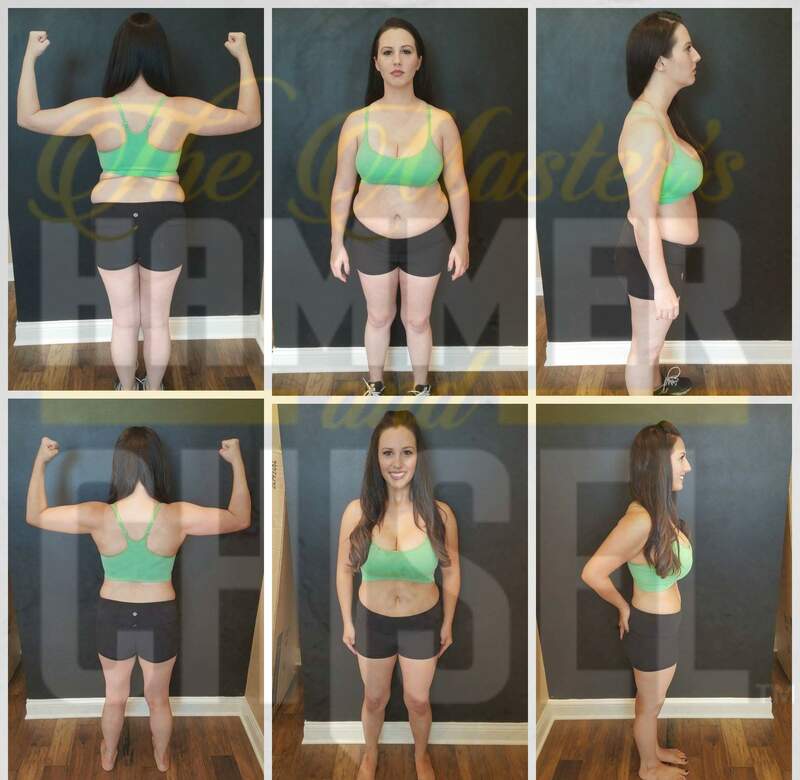 She is one of our lead coaches and was invited to be on the first Coaches’ Master test group to try the new Hammer & Chisel program that comes out Tuesday, December 1st. Just LOOK at her results! In the past Tarah has been obese for her height weight ratio and she’s struggled with eating disorders, but she’s always overcome any obstacles to regain her health. Including raising her young boys while stationed in Japan, when her husband was deployed with Special Forces! Now Tarah and her husband are both able to raise their kids while working from home and they have added a precious daughter, all the more reason for Tarah to be a role model of health to her. And that she is!!! Committing to making changes to your health and fitness is not easy. It’s almost always challenging. That’s why on December 7th we will join together in an accountability group for support and motivation. Get the new Hammer and Chisel Shakeology Challenge Pack, and you can be part of it. How are you FEELING right now? Kids or no kids, are you feeling sluggish or full of energy? Do you feel light on your feet or puffy and bloated? How do you WANT to feel? If you want to be part of the Team Knockouts first Pilot group for Hammer and Chisel, message me today, and I’ll get you set up. This entry was posted in Beachbody and tagged Accountability, Challenge Group, Hammer and Chisel. Bookmark the permalink.